In many parts of the world, winter brings blizzards, sludge, and sadness. Luckily for us here in Australia, we rarely get snow. We do get a lot of winter showers though, and that can be a nightmare for home cleaning. With all the soggy mess outside, it’s a challenge to keep your house sparkling clean. One particularly troublesome matter is keeping your carpet clean. You might consider stashing the carpet away for the entire winter season, but that’s probably not very enticing. With the extra chill, you’ll want a warm, dry, fuzzy carpet to keep your feet nice and cozy. 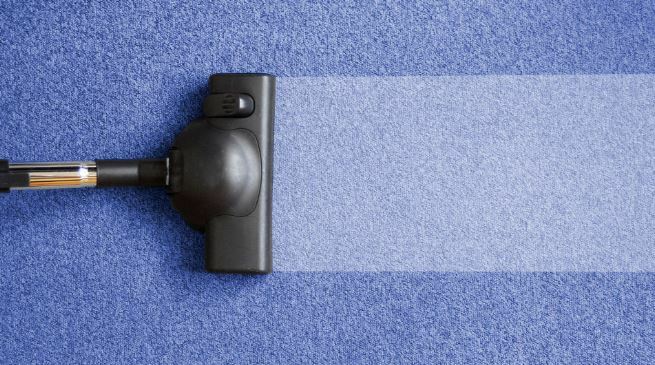 The easiest tip is to hire a professional carpet cleaner. Here at HouseProud Cleaning, we offer our customers in Sydney carpet cleaning services. We clean carpets and homes in lots of other regions too. It’s always best to tackle things right at the source, so you could start resolving your dirt challenges before they even get into the house. If you have an easily accessible backdoor, advise guests and family members to use that instead, as it avoids trudging dirt through your main living area. On the way into the house, you can install a small bucket, footbath, or cleaning trough that can be used to wipe off shoes before coming into the house. If you have a tap, that’s even better. If it’s not too cold, you could institute a ‘no shoes’ policy inside the house, so that all the gunk stays right there at the back door. Speaking of shoes, you might want to invest in a good pair of gumboots for all family members. They’re far better suited for winter rains and are quick and easy to remove when you want to come back indoors. Be sure to keep some warm indoor slippers near the door so your family and guests can slip them on as soon as they take off their outdoor shoes. It’s hard to check your house for leaks during the dry months, so you’ll probably need to wait until you have some actual rain before you can confirm the state of your roof. The first time it drizzles, do a spot check for leaks and soggy spots. Dry them immediately and mark them by placing a small dish beneath to catch any drops that can cause falls, spills, or stains. Once the rain stops, call in a repairman to take care of the leak. If you have young children, your house is bound to get extremely messy during the winter. One way to avoid them dragging mud and dirt into the house is to keep them inside. Of course, this could cause a different kind of mess altogether, so keep them occupied with games and puzzles. If you have a home internet connection, you could keep them entertained with an educational podcast. When all else fails, get in touch with us and we can do your winter cleaning for you. Give us a call today for a free, no obligation quotation.